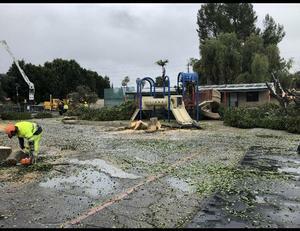 Ivy purchased the former Pinecrest School Site in 2018 and we are currently in the process of obtaining approvals from the city of Los Angeles to modernize and operate as a TK-12 Charter School. Our plans are to move all of our students to the new site for the 2019/2020 school year. Tour times at new site available by appointment. Ivy has a new Home! I am very happy to inform the entire Puma community that we have closed the deal and now own the former Pinecrest location in Woodland Hills. The site is located at 5975 N. Shoup Ave, and 22430 W. Oxnard street. Join us for a tour of the Shoup location (5975 Shoup Ave., Woodland Hills, CA 91367) on Saturday, January 26th from 9:00 to 11:00 am. 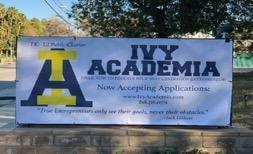 Support Ivy Academia's Goal of 97% Positive Daily Attendance!! Students who attend school every day and on-time are more academically successful than are their peers who do not. Hi Everyone. This is just to inform you the we are currently without power at the Valley Circle Campus. LADWP is working on it right now to restore the power in the area. They are estimating the power will be restored around 12-12:30PM.